According to a frontpage exclusive in the Times of India this morning, the Central Bureau of Investigation (CBI) is “exploring the option of naming a top law firm either as a conspirator, or registering a fresh case - for possession of stolen property - after investigating officers found official documents belonging to the bank on its premises”. CBI officials said that during a search at the legal firm’s premises in February, they found documents which ought to have been in the possession of the bank. These documents were handed over by PNB officer Gokulnath Shetty (now under arrest) to jeweller Mehul Choksi. “Shetty didn’t want certain documents to be kept at the bank. He handed them over to Choksi. They were then shifted to the legal firm’s offices,” an official said. Although the article does not name the law firm, it is obvious that it is making a reference to Cyril Amarchand Mangaldas. On 26 February, we were first to report that the CBI had knocked on CAM doors, with the firm having cooperated and shared with the CBI documents relating to an instruction in a legal matter by Modi. 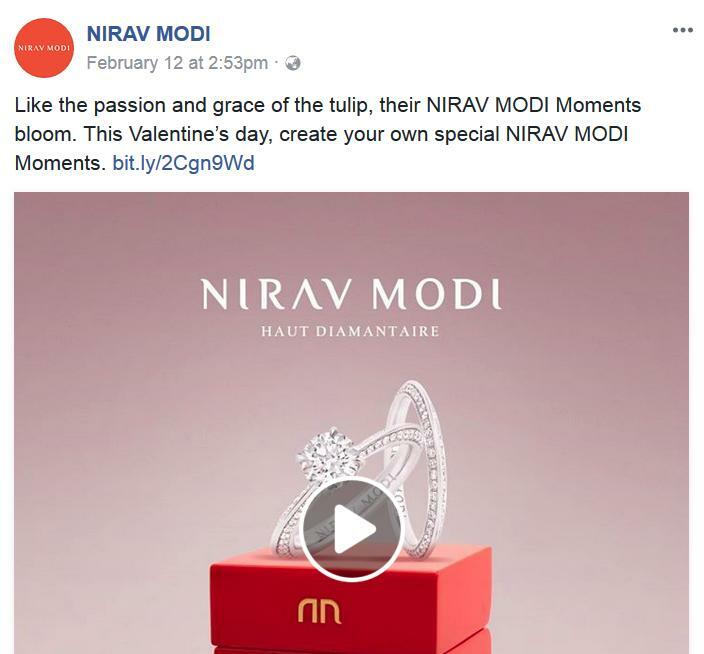 And, as we had predicted in our in-depth analysis a month ago, the CAM-Nirav Modi story faces potential complications down the road, with with privilege issues looming that could end up biting either the CBI or the law firm, if Modi or other accused end up claiming that those documents were disclosed to the CBI illegally. The CBI, for one, has already made clear in court that the letters of undertaking (LOUs) recovered from CAM are being relied on in its cases against at least two Modi affiliates, according to an earlier report in the Economic Times. This CBI leak of a speculative prosecution of CAM therefore could appear as either a strategic shot across CAM and Modi’s bow, to discourage any potential future privilege battles, or it could also just have been an individual CBI officer unofficially thinking out loud to a TOI reporter about how the CBI could crack privilege, if it does come up. In any case, the decision of TOI not to name CAM is strange, though not unusual for a mainstream newspaper, which often exercise excessive caution when dealing with a big law firm or lawyers. Alternatively, not naming CAM could also have been a request by the CBI source, which would fit with the warning shot theory. We have reached out to Cyril Amarchand managing partner Cyril Shroff for comment this morning, but have also not had a response, much like the TOI, which had sent a text message to the unnamed firm’s “managing partner” on Friday, an email on Saturday, and an answer phone message on Sunday, according to its report. In what appears to be unrelated to anything CAM, the CBI official had also told the TOI that the CBI has been interviewing a consultant dubbed “AJ” who has allegedly acted as intermediary between jeweller Mehul Choksi, who is affiliated with Nirav Modi companies, and politicians and bureaucrats supplying them with 1kg gold bars to “take care of” them. This is most bizarre! no regard for the name and reputation of a 100 year old institution. lawyers and firms need to unite and press for legal privilege.. this sets a bad precedent. Why will clients trust a firm if the privilege protection is not honored by Govt agencies?? very unfortunate. Lagta hain from the article that Cam aise cheeso mein Cam aata hain. No PAAAN intended. I don't know why this song comes to my mind....Oye lucky lucky Oye...!! Waiting for AZB lawyers to pounce on this article about CAM. Were you the one putting out fake news last week? CBI should investigate you also!! After the Rau move which Cyril survived the CAM AZB war is as live as the CAM SAM war. The CAM SAM war is understandable but the CAM AZB war is bizarre. Master apprentice fight. Bizzare indeed - Rau and Cyril have no comparison. It seems like a war that exists on in LI. Most clients didn't even register the move. CBI may invoke NSA to get around privilege. 1. Doesnt the quotes answer the question "found documents which ought to have been in the possession of the bank". So what were the documents doing at CAM? 2. Privilege can apply, suppose, for example, in the case of any "private" document like a family settlement or a prospective commercial transaction which the client and lawyer have discussed. 3. Mehul Choksi handed over the documents to CAM? Modi and Choksi are seperate persons so how can privilege apply? 4. Privilege cannot apply if the intention is to defraud. You mean to say an absconding convict if comes to advocate's chamber to discuss his case would you say advocate has given him place to hide? 2. 1st line has no value in argumentation. 3. You mean "accused" and not "convict"
4. You mean " Fugitive" and not "absconding convict"
4. Fugitive can be arrested if CBI lands up. Whether the accused "came" to the lawyers office or the lawyer "provided the office premises for hiding" will have to be proved by the lawyer. You mean to say Nirav Modi who is absconding can still turn up at lawyers place for consultation and the CBI can't arrest him? To think further, in such cases is it that the lawyer goes to accused's home to save this situation? P.S. : You are definitely not practising criminal law or law for that matter. It is unethical to use a person's name like that. At least spell my name correctly! This is LI discussion on a serious topic. Not Facebook where senseless sentences are used with unnecessary exclamation marks. Please refrain from discussions where you cannot contribute good points. Sure sign of a failed lawyer is when you consider point 2 is laughable. clients- accept fees not files. criminal conspy is a nice remote ground if one wants to drag in people with no privity or other real incriminating connection. not a question of a client document but an 'Original Document' which was supposed to be in possession of a Bank, what was it doing in a law firm? Lawyers will always tell a client to give them photocopy, originals should always remain with client! I think there should be a diligence and diligence charges before accepting client documents. You never know what the source is. Leaving aside the issue of privilege or lack of it, how can a legal advisor be named as a co-conspirator simply for possession of offending documents (even assuming that’s true). One can understand if the law firm in question actively participated in defrauding the bank but based on the reported facts of the scam, what role could this law firm have played??? Having been in a law firm for more than 15 years myself(not CAM), I can say with reasonable certainty that (a) these documents may have been handed over for safe keeping like lot of clients do (b) these documents may have been received and handed over to a junior lawyer for filing. It is also not always easy (especially in financing transactions) to discern what documents should not have been client’s custody in the first place. The assumption always is that the client is handing over what he legally possesses. It’s sad that a leading news paper seeks to sensationalise without checking facts, legal position or waiting for them to be chargesheeted. For all you know, this CBI officer’s kid got rejected by CAM. Reputation in this profession (like in others) takes years to build and to crumble with one such sensational news item! I would rather see them lose the league tables. So what you are saying is lawyer didn't know that LOU was supposed to be in custody of bank. They innocently accepted it through their junior. Best of luck for ur future endeavours! If a financing involves issuance of LOUs, it is not at all out of place for the original to government through the transaction counsel's offices. Or maybe the kids of the owners of the newspaper were rejected by CAM! CAM should sue the newspaper for defamation.. till found guilty by courts, will be travesty of justice if CAM is subject to trial by media. Isnt the Adani connection helping solve this? Karma comes back in some avatar sooner and later. The BJP has so far gone after small fry like Kocchar and Tandon. Will it have the guts to take action against you know who? ?